GSERB Principal Recruitment 2017, GSERB Secondary & Higher Secondary Principal Bharati 2017: Gujarat State Education Recruitment Board published advertisement for filling in the 2329 vacancies of GSERB Principal Bharati 2017. Interested and Eligible Candidate may read all instruction well regarding GSERB Principal Recruitment 2017 and apply online on its official website gserb.org. 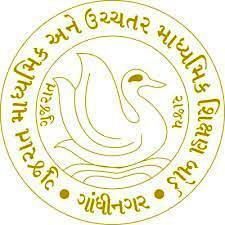 Gujarat State Education Recruitment Board released recruitment notification regarding GSERB Principal Bharati 2017. According to official advertisement of GSERB Secondary & Higher Secondary Principal Recruitment 2017 applicant may apply through online mode. Online application start from 10th October, 2017 to 31st October, 2017 on its official website gserb.org. Candidates are advise read all instruction like education qualification, age limit, important date, pay scale, how to apply, exam pattern, selection process and etc on official official advertisement of GSERB Principal Bharati 2017. Candidate have to go on official website gserb.org. Enter personal and education information. Take print out of form for future reference. Candidates are advise to bookmarks this page and be regular touch on this page for get more latest updates about GSERB Principal Recruitment 2017.